Here are the nominations for the best music album of 2018 - choose your favourite! 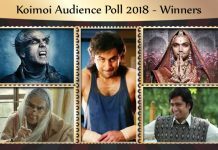 Koimoi’s Audience Poll 2018: We wouldn’t shy away from accepting the fact that along with some tremendous content-driven films, 2018 has also been a musical year with various songs that went onto becoming party anthems all around the country. Here are the nominations for the best music album of 2018 – choose your favourite! 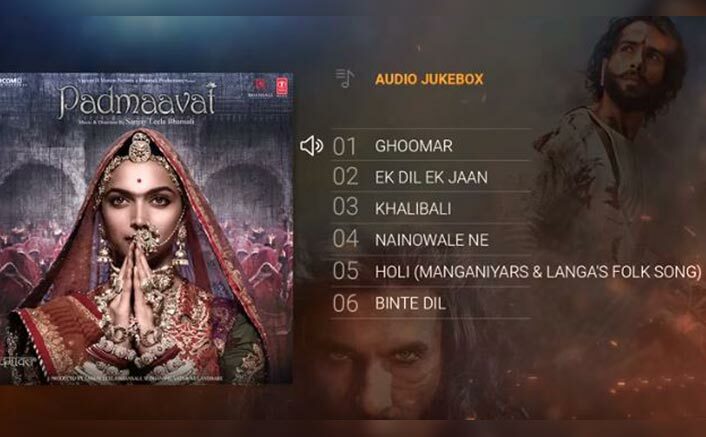 Apart from being a box office success, Padmaavat brought in a melodious start to the year. 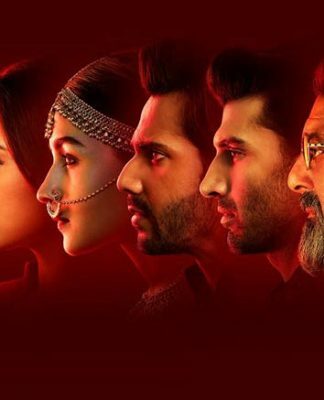 From the ever-gracious Ghoomar to the havoc-creator Khalibali and not to miss out on Binte Dil, music director Sanjay Leela Bhansali surely has picked the best of singers from the lot. 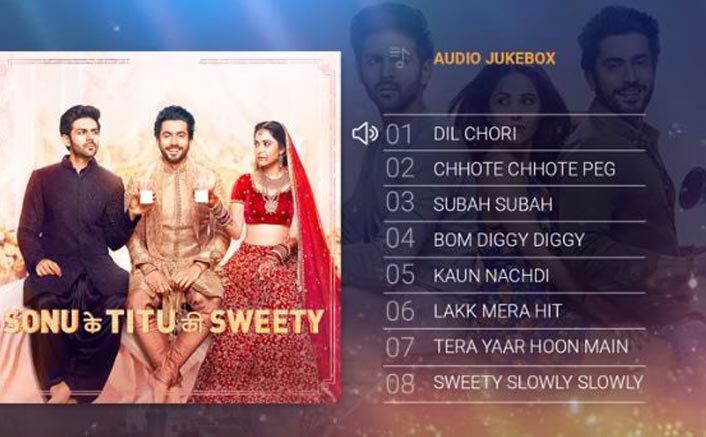 Along with spectacular performances by Nushrat Bharucha, Kartik Aaryan, Sunny Niraj and the rest of the cast, Sonu Ki Titu Ki Sweety‘s jukebox went viral with songs like Chote Chote Peg, Dil Chori, Bom Diggy Diggy playing at every party and wedding. Also to be mentioned songs like Subah Subah which aroused the emotional quotient & Tera Yaar Hoon Main that every fan must have dedicated to their friends. 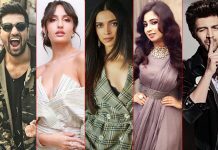 Rochak Kohli, Yo Yo Honey Singh, Amaal Mallik, Guru Randhawa, Zack Knight, Saurabh Vaibhav & Rajat Nagpal’s effort definitely gave a fruitful result. 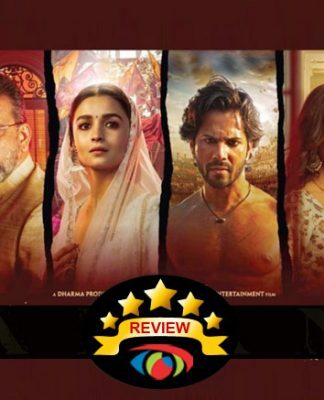 An under-rated movie of 2018 which deserved a much better response than the audience provided it with, had heart-wrenching songs like Aahista, Tum that led for its listeners to shed tears. 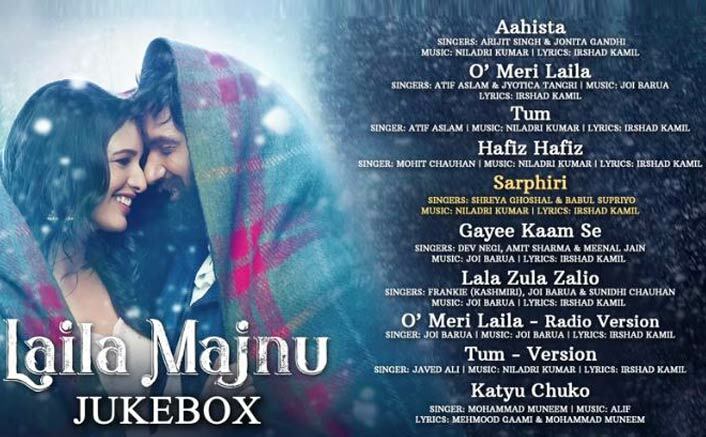 There were also some enlightening songs like O’ meri Laila, Hafiz Hafiz that aroused the Majnu in each one of us. 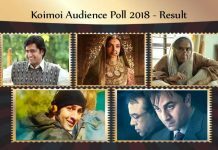 Three cheers for Niladri Kumar, Joi Barua & Alif’s hard work? 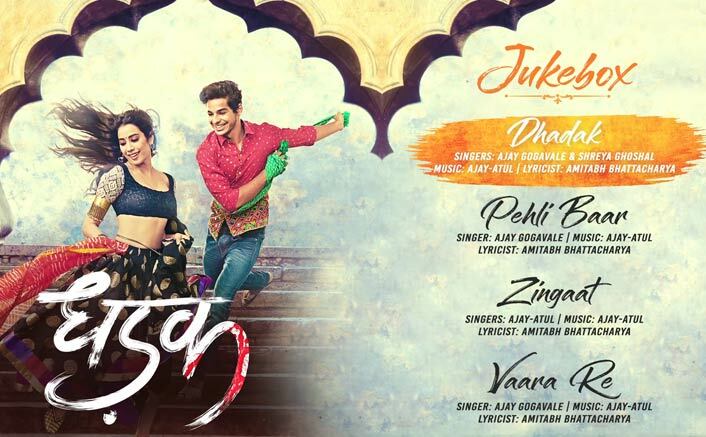 From the festive anthem Chogada to the peppy number Ankh Lad Jaave and Tera Hua that lead each of us falls in love deeper, the direction of Tanishk Bagchi, Lijo George – DJ Chetas & JAM8 is a kind that must have made every dance lover groove. Don’t Y’all agree? 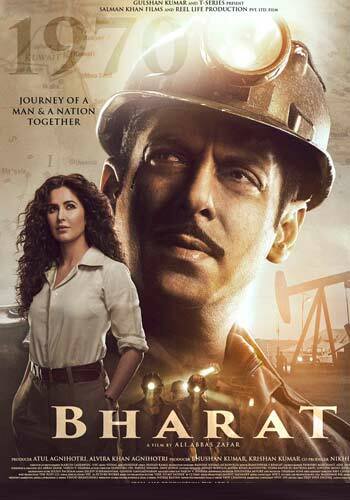 This movie not only had our heart because of its story but Amit Trivedi’s music direction stole our hearts too. 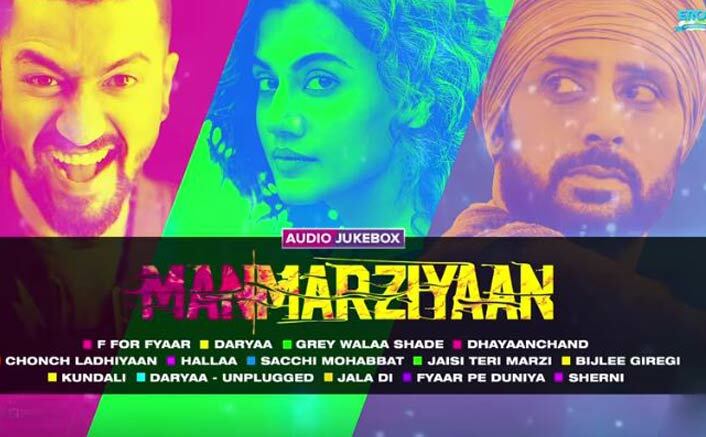 F For Fyaar, Daryaa and Hallaa – we’ve heard these songs on loop for days and still can’t get over it. The movie might have been average at the box office, but the music album was loved by many. 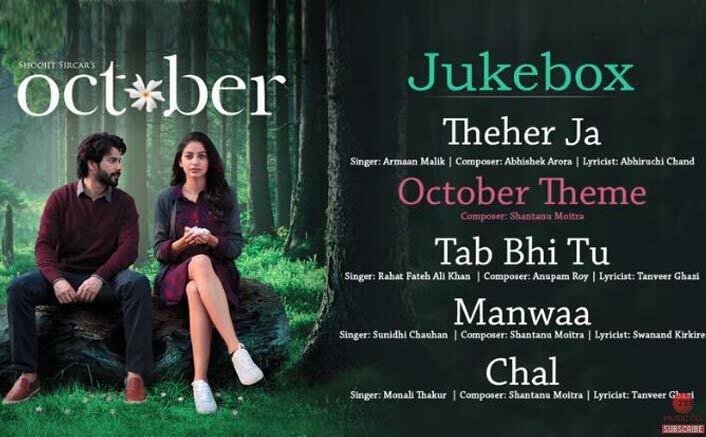 Shantanu Moitra had done an appreciable job be it in the case of Theher Ja, Tab Bhi Tu or Chal. 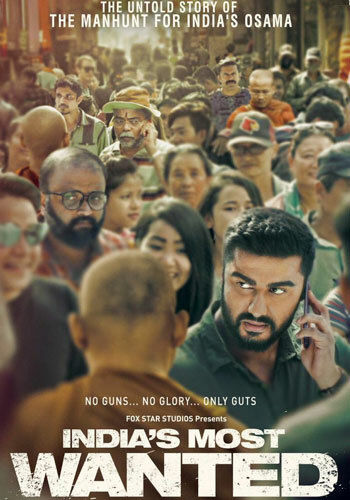 The trio Shankar Ehsaan Loy’s music work in this Meghna Gulzar direction was another hit. 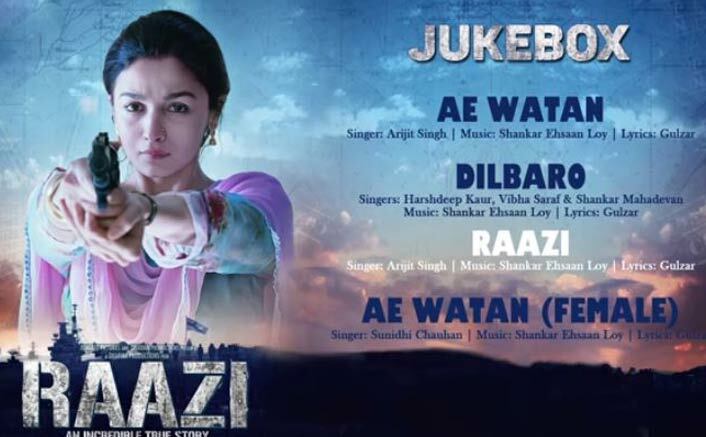 While Ae Watan aroused the sense of patriotism, other songs from the movie – Dilbaro & Raazi worked well with the theme and overall too. 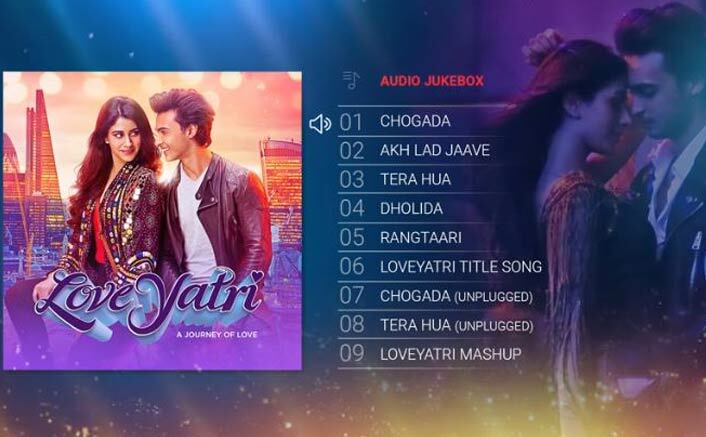 The movie which was a remake of Marathi blockbuster Sairat also had added the Hindi version of Zingaat to its jukebox which went viral like a wildfire. 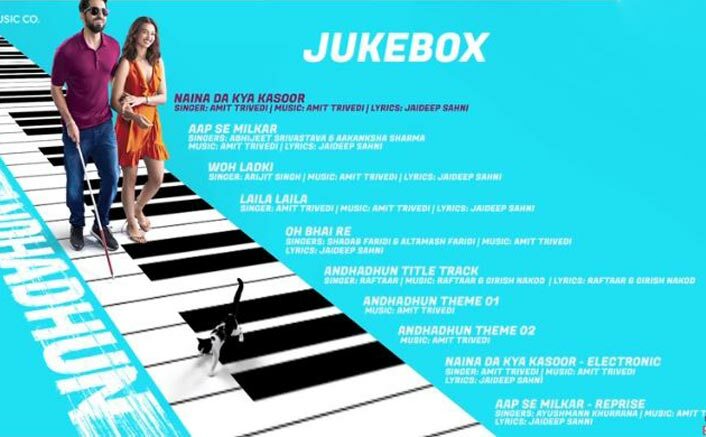 Also added to the kitty were Dhadak title song and Vaara Re. 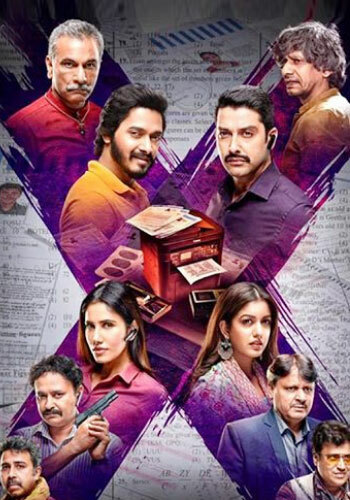 Ajay – Atul sure has put all his mind and heart into this one. Sorry to bring it to you, but if you haven’t shaken a leg on Milegi Milegi or Kamariya, you aren’t a true Bollywood freak! Both the songs worked wonder along with Nazar Na Lag Jaye which became a part of many playlists. Not to miss out on Aao Kabhi Haveli Pe and the spectacular work of Sachin-Jigar that forced us to make our way to the theatre screens. 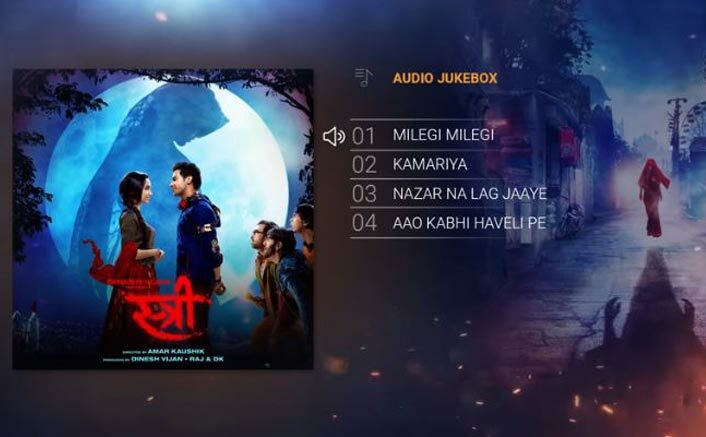 We’re not sure if there was ‘Naina Ka Kasoor’, but we definitely will blame Amit Trivedi for making us crave for every song in the movie’s album. 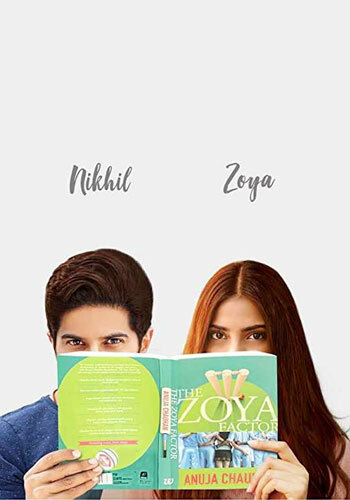 Each song, starting from Woh Ladki, Laila Laila to the title track only made the movie shine brighter.